A native Calgarian, Ken has witnessed Calgary grow to a population of over one million people and develop into a prosperous and dynamic city. 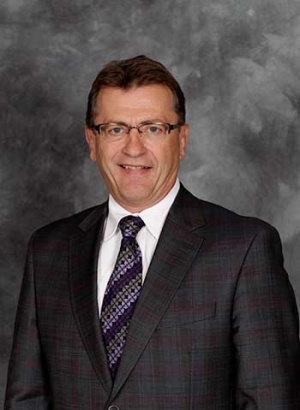 In 1985 Ken launched his real estate career and over the years has consistently proven to be among the top 2% of Calgary's MLS® Real Estate Agents. In 1997 he joined RE/MAX Real Estate (Central), the #1 RE/MAX Office Worldwide for the last 16 consecutive years, and since 1998 continues to be one of the top agents in this high producing office. In recent years Ken has been awarded the prestigious RE/MAX Chairman's Club award (top 1% of all RE/MAX REALTORS®) and the Lifetime Achievement Award. Ken's extensive knowledge, professionalism and strong commitment to his real estate career and team have established him as a top selling REALTOR®! "Ken Richter has been my realtor for many years, with buying and selling over the years; referrals for other properties, as well I can honestly say that Ken has always had my best interest at heart. He makes sure you stage (present) your home for a seller and I can say, it works. His expertise is bar none spot on with efficient staff to help. He is one of the best and his record shows it. Go Team Richter!!" - Madeleine M.
Your Calgary Real Estate & Customer Reviews, Testimonials & Comments are a valuable indicator of Ken Richter performance and is a reflection of his/her reputation. Hearing how your experience was during your real estate transaction is the best way to ensure we are providing a service in line with our customers needs and expectations.